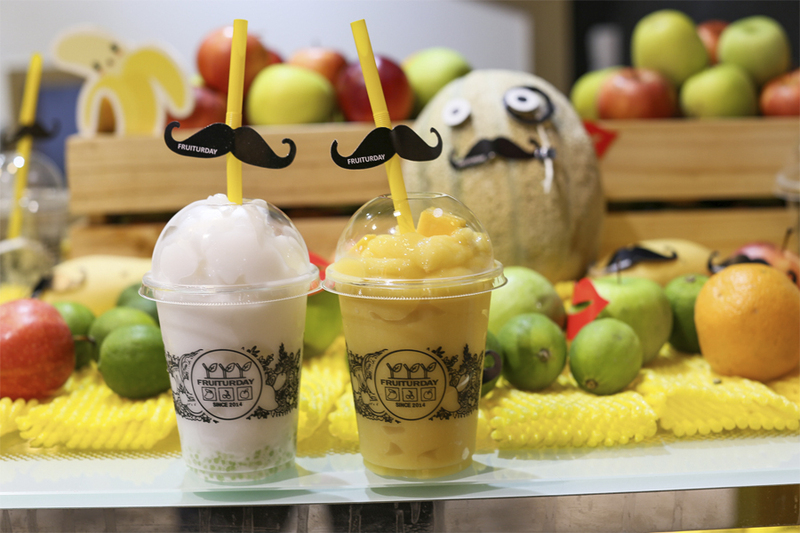 The mango drinks wave has hit several cities in Asia, though Singapore seems to be taking it slightly slower. 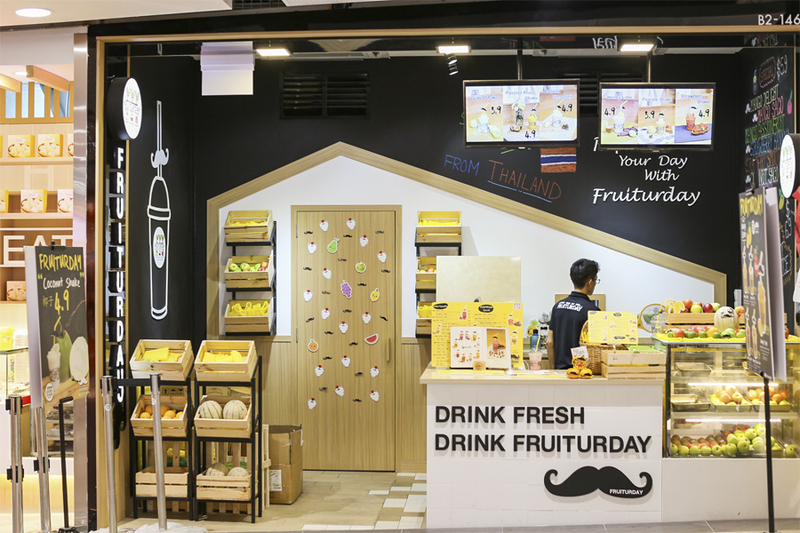 After Mango King is launched at ION Orchard, next comes popular Thailand’s specialty smoothie and dessert brand Fruiturday at Northpoint City. By the way, basement 2 of the mall can be quite a maze, so hopefully you will find the shop in a sea of people. 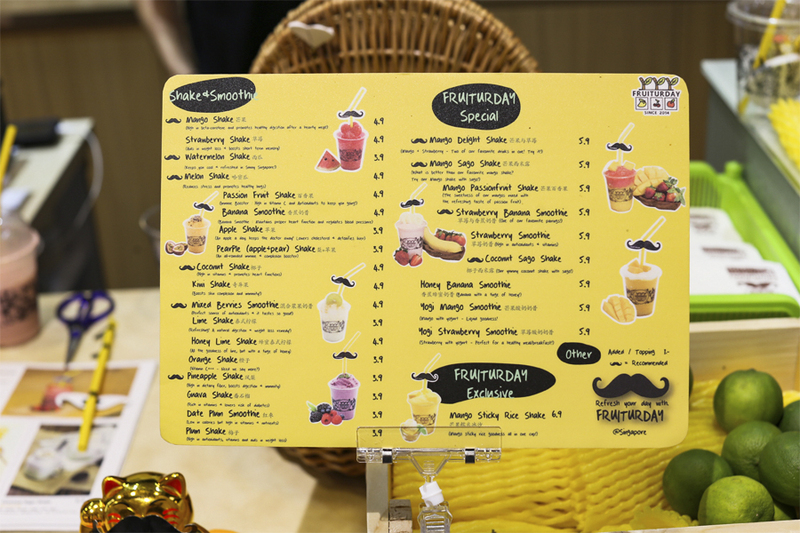 Fruiturday which started in the city of Chiang Mai, has multiple franchises in Thailand. 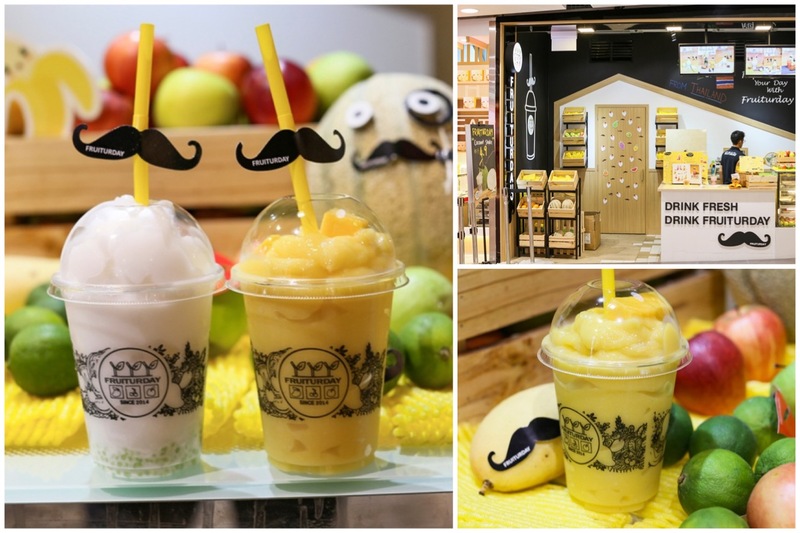 Their fruit beverages are made with 100% fresh fruits and ingredients. 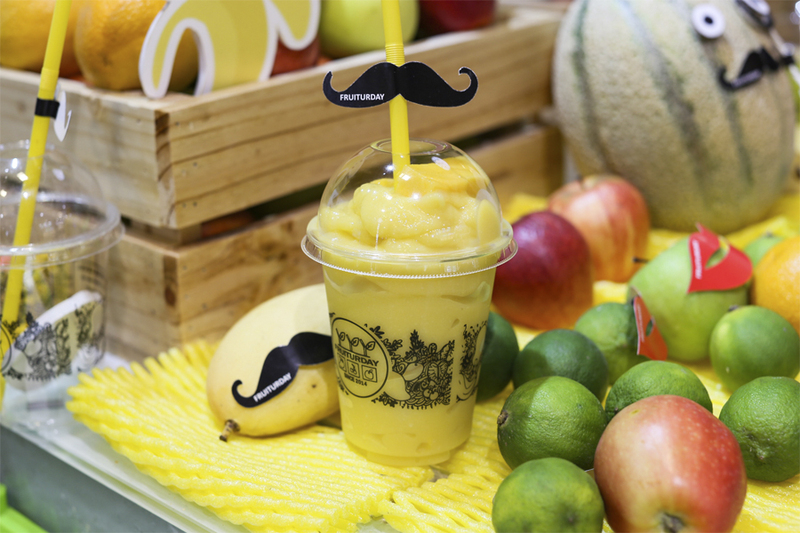 Another ‘secret’ lies in a special emulsifier syrup, which helps blend the ice, fruits and ingredients smoother. 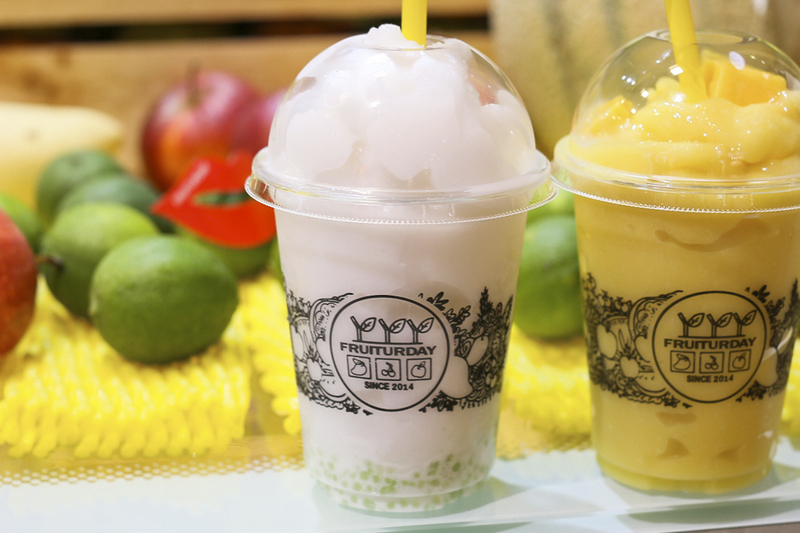 I was recommended the Mango Sticky Rice Smoothie ($6.90), blended with a mix of fruits and ingredients with chewy sticky rice bits. You want fine or chunky? At the moment of ordering, “chunky” didn’t sound optimal, so I went for the “fine” thinking that it would be easier to gulp down on the go. 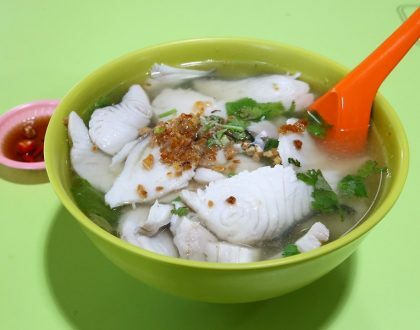 After getting the cup, I realised that “fine” meant that the sticky rice is blended into the mixture, so you wouldn’t really get to taste the bits. So I found the smoothie refreshing, neither too watery nor lumpy, though slightly on the sweet side. 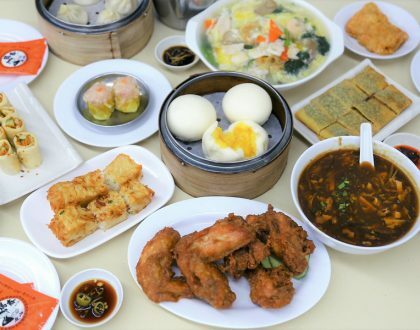 I may want to order “chunky” in the future so that I can taste more of the fruit and rice bits. 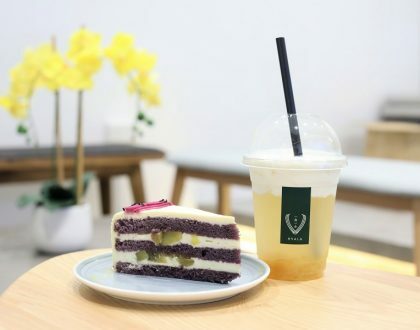 In Singapore, many drinks store make it not just because of the product, but with some marketing carried out matched with careful branding strategy, at least during the initial days to get the hype going. I think this is something that cannot be ignored, especially in this very competitive market.